Read Publisher's Weekly review of Mel's book here. On October 5th at 7pm, Mel Goodman will speak at the East Columbia library in Howard County, MD on "The Case for Withdrawal from Afghanistan." "Report Card on Obama's Foreign Policy"
Host: George Wilson, "AM Show"
Mel Goodman will discuss Afghanistan: Why are we still there? Can we leave? Mel Goodman will discuss "Has Obama Assembled a Hawkish Administration? Assessing his Cabinet Choices and first week in office from a foreign policy perspective"
Mel Goodman will discuss "Obama Presidency and the Future of U.S. Foreign Policy"
Mel Goodman will discuss Obama's foreign policy appointments. "Bringing New Voices and Views to the Airwaves"
Mel Goodman will talk about Leon Panetta and Obama's national security team. 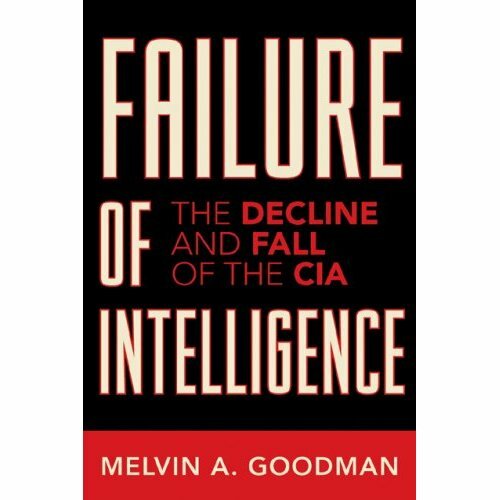 Mel Goodman will speak on "America's Russia Problem"
Mel Goodman will speak on "What Barack Obama Needs to Know about Intelligence"
June 29, 2006: The National Security State: Part I. Panelists will focus on the National Security Agency, wireless eavesdropping and secret prisons. July 13, 2006: The National Security State: Part II. Panelists will focus on intelligence reform and will include recommendations for strengthening the functioning of the intelligence community. Watch the video.